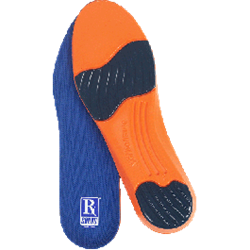 An update to both the RxSorbo Amazon Web pages and corporate Web site pages has been published, detailing the selection of shoe heel pads available. The updates highlight the company's Sorbothane-based products as category leaders in shoe heel pads and full shoe insoles. Heel pads are the versatile sibling product to the full shoe insoles that RxSorbo also sells. RxSorbo, a leading online retailer of top-rated shoe heel pads, is pleased to announce that both their Amazon and corporate Web site pages have been updated to provide a full and complete description of the types of Sorbothane heel pads available from RxSorbo. To view the newly updated heel pads pages, visit http://amzn.to/1YLrjdW (Amazon) and http://www.rxsorbo.com/classic-heel-pad/ (RxSorbo). Brand recognition is higher for full sole insoles than for heel pads, but heel pads have very specific uses. A classic case where heels pads can step in where full shoe insoles might not work out as well is women’s high-heeled shoes, for example. With narrow styling and large cut-outs, the full insoles might be unduly bulky or even awkwardly “show." But no one wears high heels for their comfort, so it is especially important that consumers understand that there are options to provide some degree of relief from the fatigue inevitable with such footwear. Mens’ footwear can have similar issues (for instance narrow boots), so RxSorbo wishes makes sure to let them know as well to check out the heel pads for sale.